A neck lift is an operation designed for facial rejuvenation. This operation can reduce the sagging and wrinkling that is often associated with aging. It can also address the fullness of the neck or the lack of definition of the neck. This fullness or lack of definition can make a person look overweight. Although bone structure, genetics, and lifestyle choices can affect aging, a necklift can reduce or take away from one's age. The operation causes tightening and restructuring of the skin and underlying tissues of the neck so that a person appears younger and less heavy. Hopefully, by setting realistic goals and undergoing a good operation, a person will end up looking as good as he or she feels. The neck lift can be done either with local anesthesia and sedation or with general anesthesia. Dr. Marefat performs the neck lift operation through incisions that are hidden by normal anatomic landmarks, such as the hair or ear. The incisions are placed in such a fashion as to minimize their visibility. Excess or sagging skin is removed. When necessary, fine suturing or restructuring of the deeper tissues, such as fat or muscle, is also done. The net effect is to give the neck a firmer, more youthful look. The angle between the chin and the neck can be altered to more closely approximate the youthful ideal. After surgery, the patient will experience minor discomfort and swelling. The patient may have some discoloration as well, which generally lasts for 1-2 weeks. The final effect of neck lift surgery is not fully appreciated until several weeks later when the body has fully recuperated from surgery. Pain and discomfort are easily controlled with oral pain medication, and the patient should be able to return to normal daily activities after the first week. At that time, scars or bruising may be covered with makeup. The skin will remain quite sensitive to the sun after surgery, and the patient should make every effort to protect it in the first several postoperative months. After a short while, the scars become even less conspicuous, and the patient can resume all preoperative activities. What is cervicoplasty (neck lift)? A neck lift counteracts the effects of aging by lifting and repositioning the tissues of the neck and the lower face to a more natural and youthful location. It is also used as a means to change the angle between the chin and the neck, which can make you look younger. What does cervicoplasty (neck lift) accomplish? The purpose of the neck lift procedure is to remove the signs of aging in the neck by pulling the skin and the structures underneath the skin in an upward and backward direction, thereby counteracting the effects of gravity. In certain individuals, the neck has an obtuse angle. This means that the angle between the neck and the chin is not defined well. This may make the person look older than his or her age and often makes one look overweight. 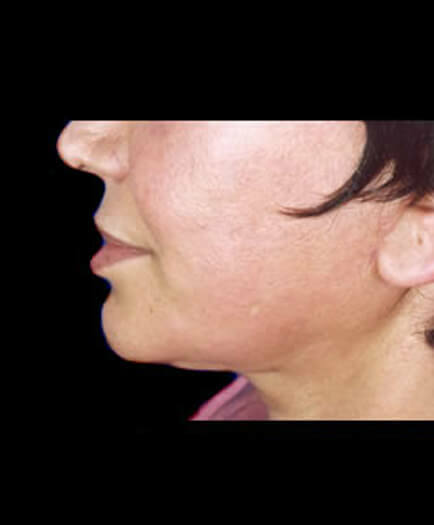 With a Virginia neck lift, a surgeon can change this angle and make the person look much younger and less heavy. How long does a cervicoplasty (neck lift) last? The beneficial effects of a neck lift can vary, depending on the patient's anatomy and lifestyle. In addition, the role of genetics is important in the effect that the neck lift has on the patient's overall appearance. With current surgical methods, it is not uncommon to achieve results that last up to 10 years. What happens during the first consultation for a neck lift in Virginia? In the first consultation, you will have a chance to discuss your concerns with our patient care coordinators and Dr. Marefat. We will explain what you need to know about a neck lift and help to determine what is best for you. You will receive information booklets, review before and after photographs, and receive pricing on the procedures. How is cervicoplasty (neck lift) done? We usually perform the neck lift operation in an outpatient surgical facility in Virginia with the patient under general anesthesia. The skin of the neck is lifted, and the tissues underneath are fixed in their proper position. The skin of the neck is pulled and trimmed. The suture line is hidden in the hair-bearing skin and natural folds of the face. What can I expect after cervicoplasty (neck lift) surgery? There will be a moderate amount of swelling and bruising with a neck lift operation. You cannot do this procedure and plan to go back to work the following week. Most patients elect to take 2 weeks off work. This gives them adequate time to recover from surgery and to be seen without drawing attention. Although most of the evidence of surgery will have disappeared by the end of the 3rd week, the ultimate result of the Virginia neck lift operation will not be evident until at least 5 or 6 months have passed. You should expect a moderate degree of tightness in the skin of the neck during this period. This will slowly resolve and become normal over the following weeks. You will also remain very sensitive to sunlight, and, therefore, the use of sunblock and protection from direct sunlight is advocated. When are the cervicoplasty (neck lift) sutures removed? How many visits do I have after a cervicoplasty (neck lift) surgery in Virginia? We like to see our patients frequently after surgery. You are seen by the doctor or nurse within 2-3 days of surgery. Then, the normal routine is 1 week, 1 month, 3 months, 6 months, and 12 months after surgery. Of course, if there is a need, you are seen as many times as necessary. We encourage our patients to come in for routine follow-up visits every 3-5 years. When can I cover my cervicoplasty (neck lift) bruises with makeup? Am I a good cervicoplasty (neck lift) candidate? The ideal candidate for a neck lift is a person with good facial skeletal structure but loose and sagging skin. There is no definite age category for when the surgery should be done. The ideal candidate for plastic surgery is a self-motivated patient who has realistic expectations about the results. Generally, the younger you are, the better a candidate you are for surgery. The physiologic age of a person is more important than the chronological age. That is to say, you may be 60 years old, but your skin and general health may be better than that of most 50 year olds. How do I pay for cervicoplasty (neck lift) surgery in Virginia? You can pay for Virginia neck lift surgery by certified check, credit card, or cash. Payment for cosmetic surgery is expected prior to any procedure. If you are scheduled for surgery several weeks in advance, you may pay by personal check. 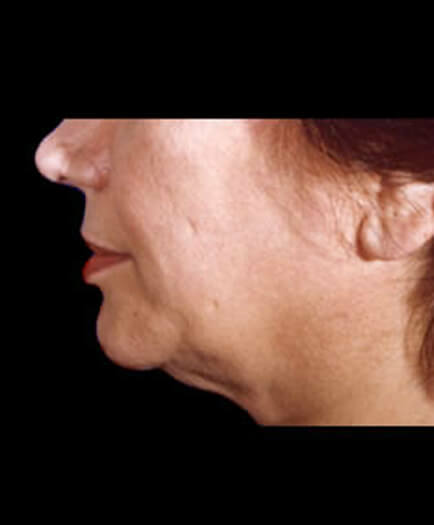 Are there any cervicoplasty (neck lift) scars? Yes. However, the scars are quite short and inconspicuous. The traditional Virginia neck lift incision starts at the earlobe area and curves back around the ear towards the posterior scalp. About two-thirds of the incision is in the hair-bearing scalp and the rest is well hidden in the natural folds around the ear. If you look closely you can see the scars, but from a normal conversational distance, the scars can go unnoticed. Does a cervicoplasty (neck lift) hurt? Yes. However, the pain involved in neck lift procedures is very tolerable. We have heard our patients describe it as discomfort or soreness. For some reason, injuries to the face (including those surgically induced) do not hurt as bad as they look. Many patients do not finish the pain medications prescribed to them for pain relief. Having said that, remember that pain is very subjective, and it is not easy to predict what degree of pain you will have. Will I be awake during cervicoplasty (neck lift) surgery? 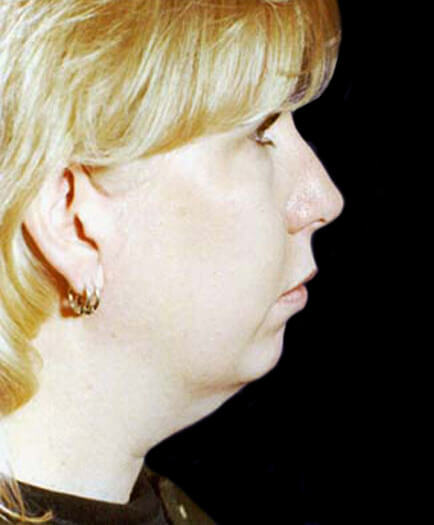 If you are having a regular Virginia neck lift operation, you will be asleep. It is to your advantage to be comfortable and have an anesthesiologist monitor your heart and lungs. This would also help the surgeon to concentrate on his work and accomplish what he wishes to do with ease. Where will the cervicoplasty (neck lift) surgery be performed? The operation is performed in an outpatient surgical facility with the patient under general anesthesia. Only in rare situations, in which the patient may have medical risk factors, does Dr. Marefat suggest surgery in a hospital environment. 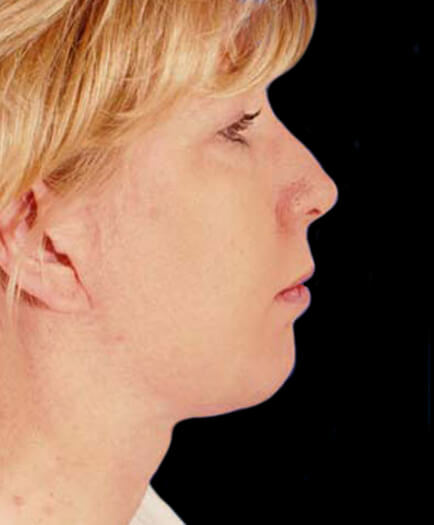 Are medical photographs taken of the cervicoplasty (neck lift)? How do I get started with cervicoplasty (neck lift) in Virginia? Dr. Marefat and the staff at Metropolitan Plastic Surgery would be happy to help you set up a private consultation to discuss Virginia cervicoplasty (neck lift). Schedule an appointment online or call one of our locations at 703-516-7600 (Arlington area) or at 703-560-9583 (Woodbridge). Are there financing options for cervicoplasty (neck lift) in Virginia? Dr. Marefat offers a number of financial assistance programs and payment programs to cover the cost of cervicoplasty (neck lift) in Virginia. Please visit the patient financing section of our website for more details or ask the staff at Metropolitan Plastic Surgery about these options so that you can get started with cervicoplasty (neck lift) in Virginia today.